Many people communicate more with their online friends than they do with other people in real life. It can be a comfort to turn to this forum after an accident to explain that you were hurt and to get important reassurance from your social community. However, discussing your injury or claim on such a public forum can potentially damage your case. Below, Greg Coleman Law’s personal injury attorneys provide information on the effects social media may have on your claim and provide guidelines on what you should and should not do on social media regarding your claim. 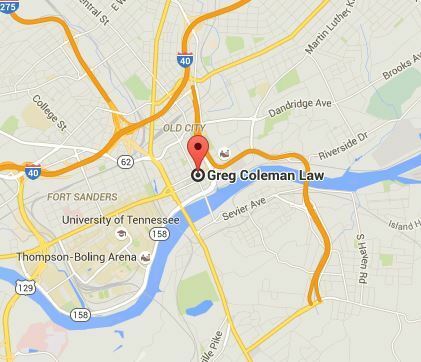 If you have additional questions, a Knoxville personal injury lawyer can provide you with a free, no obligation legal consultation to review your case. Social media is by nature public. Anything you post on social media is considered social domain. By posting things publicly – even if you make your settings more private – you accept that you do not have a reasonable expectation of privacy with this comment or share. Every comment you make, status you update, photo you post or tweet you send can potentially be used against you. In most situations, this information is considered admissible and allowed to be presented in court. While people often use social media to post personal details about their life, these accounts can often be a treasure trove for insurance adjusters. Adjusters often spend hours scouring over social media posts to find evidence. You exaggerated your claim – An insurance adjuster may try to find evidence saying you were hurt more than you actually were. He or she may try to find pictures of you engaging in sports or other activity that contradicts your injury claim. He or she may try to find evidence that you recovered from your injury. You had a pre-existing injury – The insurance adjuster may try to find evidence that you had a pre-existing injury so that he or she can pin your injury on this previous accident. Information about your version of events – The insurance adjuster may try to find information that contradicts your version of events that you reported to the insurance company or law enforcement. Pictures of you smiling – The insurance adjuster may try to find pictures where you appear happy and fine to try to argue that you were not in pain as you claim. Social media evidence is often preferred over other forms of evidence because it is timestamped and is in chronological order. It shows who was present during a certain event, as well as conversations between you and others at the time you post the information. There are certain things you should and should not do during your personal injury claim. Do heighten your privacy settings – Adjust your privacy settings so only friends can locate and view your profile. While insurance adjusters may still be able to gain access to your profile, you do not have to make it easier for them. Do delay – It is probably best to avoid posting updates and pictures until after your claim is resolved. Do tell friends and family not to post – Notify your friends and family privately not to post anything about your claim, injuries or other information that insurance adjusters may be trying to get. Posting anything about your accident or claim – Do not say anything about what your lawyer told you, your intent to file, the settlement offer currently in place or updates regarding your medical status. Posting pictures of your injury or accident – Avoid posting pictures of your injury or the accident scene, which may be important evidence to present during your case. Replying to other people’s posts – Also, avoid replying to comments that other people make about your accident or injury. Downplaying your injury – While you probably want your friends and family to know that you are okay, avoid minimizing your injury. If you were injured in an accident, it is important that you have a strong legal advocate on your side who can guide you through the process. A personal injury attorney can give you guidelines to follow regarding your social media use. He or she can also negotiate maximum compensation for your claim. If you have additional questions about the effect social media may have on your claim, contact Greg Coleman Law to schedule a free, no obligation consultation. We can discuss the effects social media can have on your claim and how you can protect it.